The International Olympic Committee is applying the last word of its “faster, higher, stronger” motto to its efforts to curtail corruption. Richmond Law students and their professor are taking an ongoing look at how it’s working. When cities and countries commit to hosting the Olympics, the World Cup, and other major international sporting events, a bonanza of public spending on stadiums, infrastructure, and more follows. Corruption often ramps up alongside it, says Andy Spalding, a leading expert on international anti-corruption law. Since 2015, he’s been taking students in his Corruption in International Sports course around the world to study firsthand efforts to fight it. In 2015 — a year in which Brazil had just spent billions on hosting the World Cup and was already spending billions more on the 2016 Olympics in Rio de Janeiro — Spalding led a group of Richmond Law students to Brazil. Their purpose was to study the impact of games-inspired anti-corruption reforms by meeting with attorneys, activists, and government leaders. In 2017, Spalding did it again, this time taking students to South Korea a year before it hosted the PyeongChang Olympics so they could examine another country’s anti-corruption efforts. 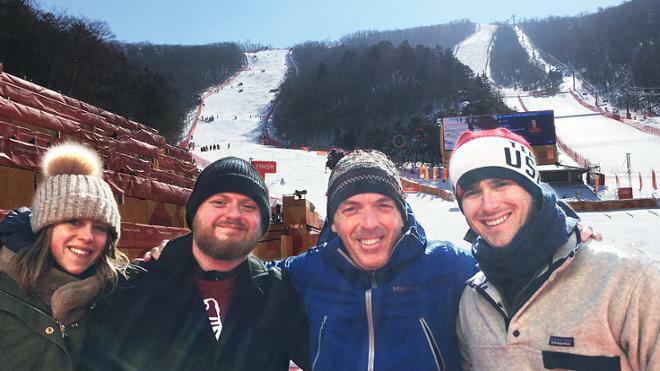 In February, the cohort returned to attend the International Sports Business Symposium at Yonsei University in Seoul. There, they presented their findings with legal experts, press, and other audiences. They also took in some of the 2018 Winter Games. Heidi Drauschak, L’18, who focused on the bidding process and how anti-corruption measures could be implemented, said part of the allure of the course was the opportunity for tangible impact. “The legacy we’re trying to leave is actual change,” she said. Spalding believes that the International Olympic Committee is driving further substantive change with a new provision to its model host city contract that requires hosts to adopt anti-corruption measures. Students say that watching these legal reforms unfold over time was another draw for the course.